Launching a new curriculum for 2019/20: study the fundamentals of actuarial science as you prepare for a high-flying career as an actuary. 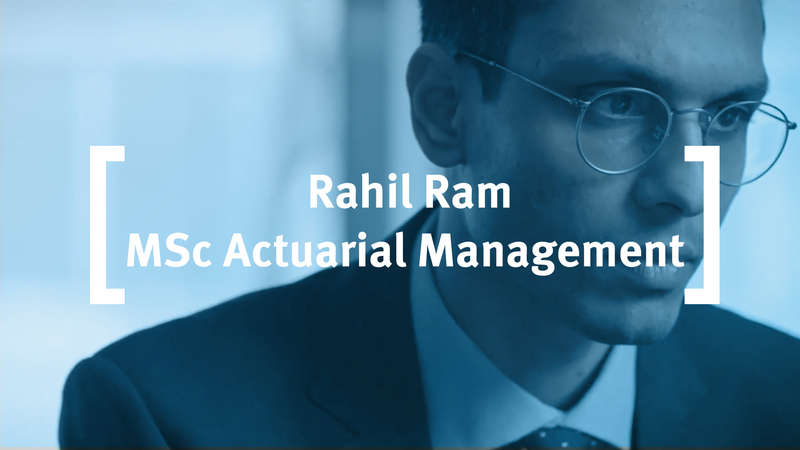 Rahil Ram studied on the MSc in Actuarial Management at Cass Business School. In this video, he tells us how a work placement at Legal & General led to a role after he graduated. His role has given him the opportunity to have a positive social and economic impact. If you have strong technical ability and an interest in solving business problems, becoming an actuary is one of the most rewarding career choices you can make. The MSc in Actuarial Science course will propel you into the profession. It offers you a firm grounding in the fundamentals of actuarial science in insurance, finance and investment. You’ll undertake a detailed study of the mathematical and statistical techniques for measuring the probability and risk of future events and their financial impact on a business and/or their clients. As the needs of the actuarial profession and the Institute and Faculty of Actuaries evolve, the skill set of actuaries is used in wider applications in both traditional and non-traditional fields, and the intake of overseas members increases, we launch a new curriculum to reflect these challenges and ensure that it is fit for purpose for actuaries in an ever-changing global business environment. On this postgraduate course, you will study statistics, probability, stochastic processes, survival models, economics, finance and investment, insurance, pensions and financial contracts valuation, with computer-based applications. This broad and varied syllabus is equivalent to the Institute and Faculty of Actuaries’ Core Modelling, Core Statistics and Core Business professional examinations (Subjects CM1, CM2, CS1, CS2, CB1, CB2), and enables you to gain exemptions from them. The master's in actuarial science is delivered via face-to-face lectures from qualified actuaries, academics and other subject-specialists, complemented by dedicated online support and computer-based applications, easy access to faculty members, and advice on study and exam techniques. Lecturers use their commercial experience and research expertise to deliver a challenging, relevant and intellectually stimulating course. Daria Prychantovska was a student on the MSc in Actuarial Science in 2015/16. Chat to one of our MSc Actuarial Science students now and have them answer your questions on everything from application to student life. Demonstrate proficiency in the use of actuarial and statistical methods to solve problems in insurance and investment. Use appropriate software tools for data analysis and modelling. Eight subjects corresponding to the actuarial professional subjects CM1, CM2, CS1, CS2, CB1 and CB2 are taught over Terms 1 and 2, in addition to the Research Methods for Actuarial Professionals taught in Term 1 and two (non-exemption) Business Analytics modules in Term 2. Students will learn how to apply compound interest theory to find the present value or the accumulation of a cash flow, and to apply financial mathematics to solve a broad range of practical problems also via computer-based applications. In addition, this module will demonstrate how loan repayments can be determined, once interest rate assumptions have been made. Students will analyse and compare alternative capital projects and value fixed-interest stock. This module will enable students to master the axioms of probability and conditional probability, the concept of a random variable and a probability distribution, and to define and use generating functions. They will apply and debate the principles of statistical inference, explain and evaluate the theory of underlying statistical techniques. They will construct statistical displays of data, solve problems with more than one random variable, find moments of distributions, carry out and interpret analysis of variance, linear regression, and generalised linear regression models. They will test hypotheses and derive confidence intervals. They will explain the fundamental concepts of Bayesian statistics and use them to compute Bayesian estimators. They will also apply bootstrap methods. Finally, students will become proficient in a broad range of related computer-based applications in R.
Students will be able to explain the structure of joint stock companies, define the principal forms of financial instruments, and discuss the characteristics of different financial statements. They will master the principles underlying the construction of financial statements and be able to apply and evaluate alternative approaches in interpreting the financial statements of companies and financial institutions. They will also be able to construct financial statements in a form suitable for publication. This module will give students the ability to understand the key aspects of the operation of markets, consumer demand, the production decisions of a firm, the determinants of market structure, and the effects of market structure on a firm’s supply and pricing decisions. Students will discuss the economic analysis at both the micro and macro levels, focusing on those areas most relevant to actuarial science, as well as the implications of changes in relevant variables on the equilibrium operation of markets. They will also develop an understanding of macroeconomic analysis and interpret the economic environment with regard to inflation, investment returns, stock market behaviour, exchange rates and economic growth. Strong research is a key element of development strategy for companies and institutions, large and small. This module aims to provide a grounding in research, particularly in financial modelling and information gathering, which students will be able to use to support their learning on the rest of the course. The content is specifically tailored to support actuarial students and help them develop their research and modelling skills by utilising training in a financial modelling package. Students will gain an understanding of a broad range of life insurance products, their pricing and reserving, and a mastery of life insurance mathematics. 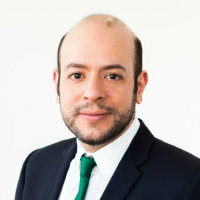 They will also be able to evaluate means and variances of present values of cash flows for complex insurance contracts, and calculate gross premiums and reserves using the equivalence principle, profit testing and related ideas. Finally, they will be able to apply mathematics and statistics to related practical problems via computer-based applications. Students will develop an understanding of modelling principles, stochastic processes, the Markov property and the application of Markov processes. They will construct mathematical models for business problems involving uncertainty, design and calibrate stochastic models, and carry out data analyses. They will analyse the theory of survival models and multiple state transfer models, including transition intensities and conditional probabilities, and be able to estimate mortality and hazard rates and carry out graduations of mortality data. Techniques learnt will be implemented also using appropriate computer package. Students will develop proficiency in using statistical models and probabilistic arguments in risk modelling to solve problems relating to general insurance losses and premium setting. They will also gain an understanding of dependence and measures of association and how the analysis of extreme/rare events works in practice, perform random sampling from risk models, time series modelling, and explain and apply principles of machine learning. Various topics will be accompanied by computer-based applications. Students will develop a proficiency in the application of models used in financial economics and understand how these models are used, also via computer-based applications. They will analyse insurance problems in terms of utility theory, define measures of investment risk, and describe how insurance companies help reduce or remove risk. They will be able to explain the assumptions and ideas underlying different financial models, and apply finance theory to assess risk, make portfolio decisions, model asset prices and interest rates, and value derivatives. This module provides a collection of standard analytical methods and explains how data analysis is performed in the real world. Practical solutions are developed and represent an introduction to specific tasks that a business analyst completes on a daily basis that ultimately would help in analysing, communicating and validating recommendations to change the business and policies of an organisation. All concepts are introduced by providing the necessary theoretical background followed by real-life data analytics tasks that inevitably involve computer-based exercises that fully exemplify how the entire analysis is performed before the recommendations are disseminated to the end-user. Python and R are the targeted programming languages used to elaborate the numerical illustrations. The pure essence of this module is to help you with understanding and applying essential analytical methods that are fundamental when dealing with complex analytical tasks, which require personal judgement in selecting the most appropriate tools learnt over the time. Students have the option of studying five specialised electives in Term 3 to give them a breadth of subject matter. Alternatively, if students would like to study one particular area of interest in depth, they have the option of either taking one elective and completing a Business Research Project (BRP), which in some cases may be completed in partnership with a sponsoring organisation, or three electives and completing an Applied Research Project (ARP). The BRP will be of approximately 10,000 words. The BRP offers an opportunity to specialise in a contemporary topic in actuarial science or finance related to students’ future careers. The BRP should be based on independent research. Students are encouraged from the start of the course to think about a topic for their BRP. A member of academic staff, allocated on the basis of the student’s project proposal, supervises the BRP. Alternatively, the ARP will be of approximately 3,000-5,000 words. In this case, the topic is supplied by Cass faculty and initial guidance is offered but no formal supervision. BRP or ARP must be completed and submitted by the end of August. Students on the MSc in Actuarial Science and MSc in Actuarial Management have frequently won with their dissertations the prestigious SCOR UK actuarial prize. This module is designed to provide a fundamental understanding of Python programming and no previous programming experience is expected. The teaching model is learning-by-doing and basic concepts are built up in an incremental manner. This module is designed to provide a fundamental understanding of R programming and no previous programming experience is expected. The teaching model is learning-by-doing and basic concepts are built up in an incremental manner. Assessment of modules on the MSc in Actuarial Science, in most cases, is by means of coursework and unseen examination. Coursework may comprise computer-based components, unseen tests and problem sets, classwork, individual and group presentations, group reports and standard essays. Please note that any group work may include an element of peer assessment. During the induction period, which is compulsory, a variety of activities are offered to students, to support them in their learning and professional development. 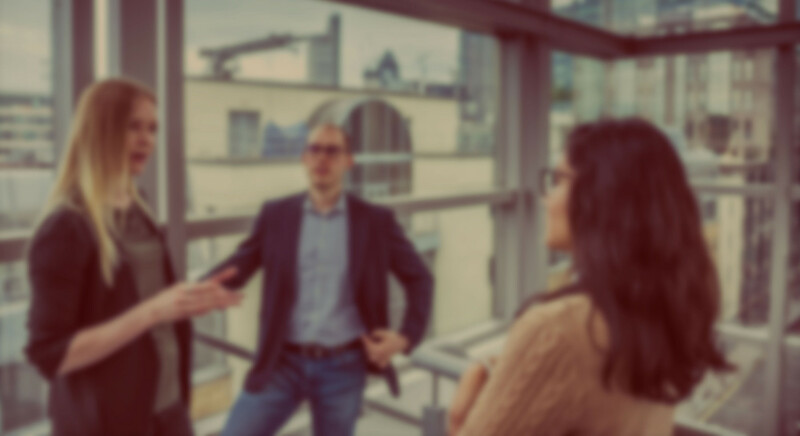 Cass Careers offers workshops with a focus on the key skills that employers are looking for, as well as preparing students for the application process. The annual MSc Careers Fair at this time provides the opportunity to meet more than 60 companies who are recruiting across many sectors including insurance, pensions, finance, energy, and other fields. Furthermore, innovative workshops are run on advanced study skills and obtaining practical insight to actuarial work. The teaching staff on the MSc in Actuarial Science have many years of practical experience working in the insurance, pensions and financial services sectors and are also active researchers in their fields. This knowledge and experience inform the highly interactive lectures that make up the MSc in Actuarial Science. Actuaries are experts in risk management. They mainly work for insurance companies, consultancy firms, banks and investment managers in the areas of General Insurance, Health and Care, Investment, Life Insurance, Pensions and Financial Risk Managment. An actuarial career is a global professional passport. The employment opportunities available for those with an actuarial skill set continue to develop and grow, in some cases outside the traditional areas. Our graduates from the MSc in Actuarial Science are well prepared to tackle actuarial and risk analyst, consultancy and underwriting roles in leading firms such as EY, PwC, KPMG, Willis Towers Watson, Munich Re, to name a few, that are as challenging as they are rewarding with starting salaries that far outstrip their peers in other industries. The MSc in Actuarial Management serves as a continuation of the MSc in Actuarial Science allowing successful candidates to focus on the application of concepts learned, study the key areas of actuarial practice and choose from the various actuarial specialist subjects and attain further technical knowledge. Students taking that MSc get an opportunity to obtain further exemptions from the later Core Practice and Specialist Principle subjects of the Institute and Faculty of Actuaries. The programme is accredited by the Institute and Faculty of Actuaries to offer exemptions from their Core Modelling, Core Statistics and Core Business professional examinations (Subjects CM1, CM2, CS1, CS2, CB1, CB2). We were the first institution in the world to develop an MSc in Actuarial Science, and introduced it in 1985. Today it remains cutting edge, following regular reviews from employers through our Advisory Board, and has been revamped to welcome the profession’s new curriculum.